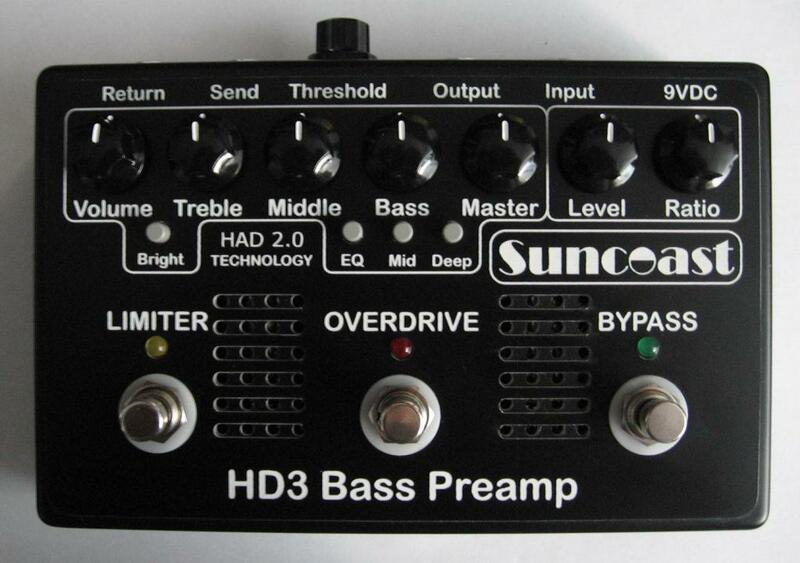 The "Ultimate" Tube Preamp for Bass in a pedal. Also works great with Guitar and Pedal Steel. Classic Tube Preamp Design utilizing "Hybrid Analog Design 2.0 Technology™". Clean Preamp: Volume, Treble, Middle and Bass EQ. Bright switch for added Shine. Master Volume, EQ select, Mid Boost and Deep switches. Overdrive Level and Ratio Controls. Solid-State Compressor/Limiter with variable Threshold control. Buffered Effects Loop - Send and Return jacks for patching effects. True Bypass footswitch. 100% Tube preamp path utilizing two hand selected - JJ 12AX7's. Custom High Voltage 560KHz switching DC power supply for real tube plate voltage.